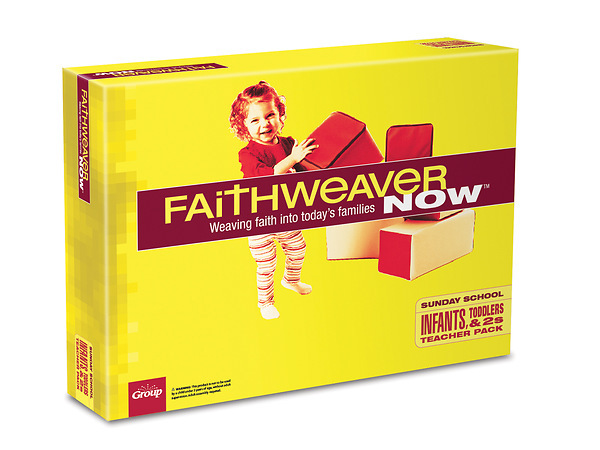 FaithWeaver NOW® was developed by today’s Sunday school teachers, examined by real ministry leaders, tested and approved by thousands of churches so you get great lessons that work with today’s families. Remember when kids didn’t have so many distractions (sports, phones, video games)? And when families made church a priority and came every Sunday? You need a Sunday school that is “NOW” and not “THEN.” NOW kids will love coming to Sunday school. Watch them grow in their relationship with Jesus! NOW busy families will grow together in faith. They’ll explore the same Bible passage in age-appropriate ways. NOW you’ll have a strategic plan to reach today’s families. NOW teachers will thank you for choosing Group’s new Sunday school. The perfect balance between low prep for their busy lives and foundational Bible lessons…WOW! This pack was developed with the understanding of the cognitive, social, mental, emotional, physical, and—more importantly—spiritual development of infants, toddlers, and 2-year-olds. Perfect for babies in your nursery ministry! The FaithWeaver NOW Teacher Pack makes it a snap to lead with engaging, age-appropriate lessons. Includes one Teacher Guide, interactive teaching tools, posters, handouts, and an audio CD with music, sound effects, and dramas. The essentials you need for a quarter—all in one convenient pack! Each lesson is built with 60-65 minutes of learning so you can easily add or delete items to suit your ministry’s needs. With the purchase of this Teacher Pack, you have access to all these FREE FaithWeaver NOW digital resources at group.com/digital: FREE digital copies of Teacher Guides in Word and PDF format. You can customize the Word documents so that any lesson fits the needs of your ministry. Sharing lessons with busy volunteers couldn’t be easier! A FREE downloadable Director Manual to help you structure your program for maximum effectiveness. FREE weekly FamilyConnect® pages you can print out or email to parents to help families grow together in faith throughout the week. WARNING: CHOKING HAZARD - Not for children under 3 years of age without adult supervision. Adult assembly required.This contains a small part, small ball or marble.